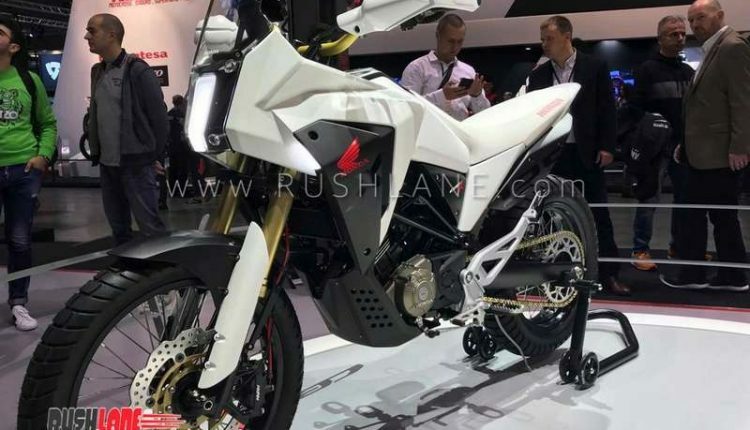 No production plans have been announced yet. 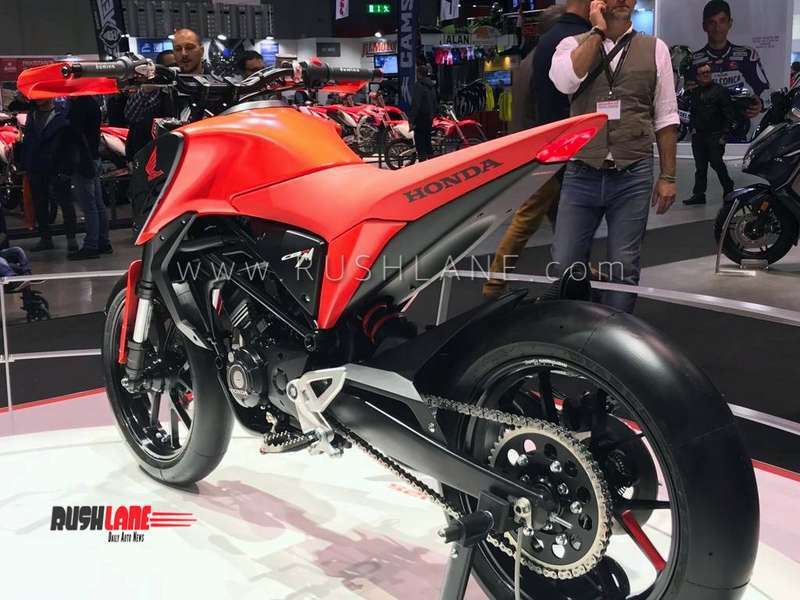 Honda has showcased a pair of design studies created by it’s Rome R&D center at the ongoing EICMA 2018 in Milan. 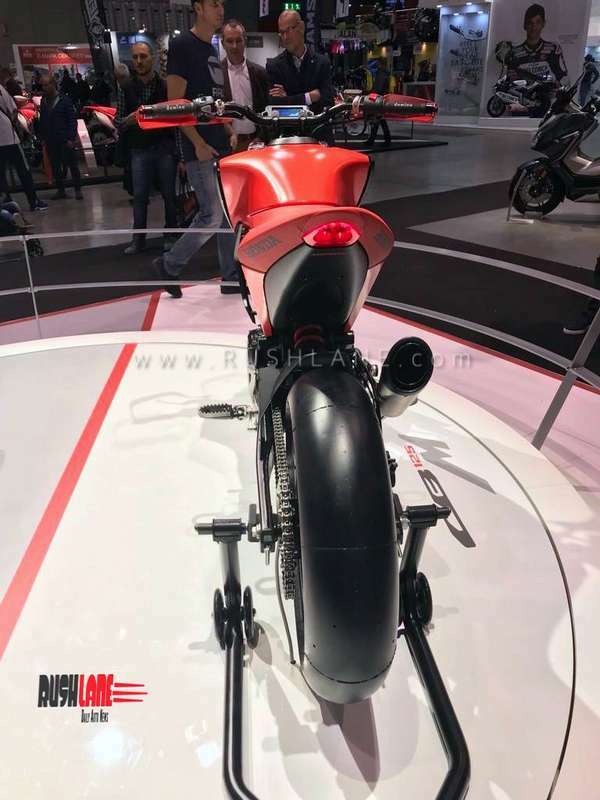 The concepts, called the CB125M and CB125X, are based on the new CB125R’s platform. 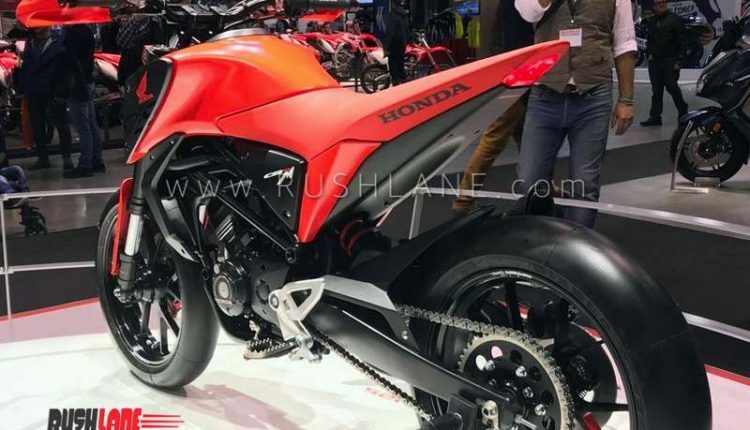 The automaker says the objective of this design exercise is to help young riders imagine the possibilities of life on two wheels. 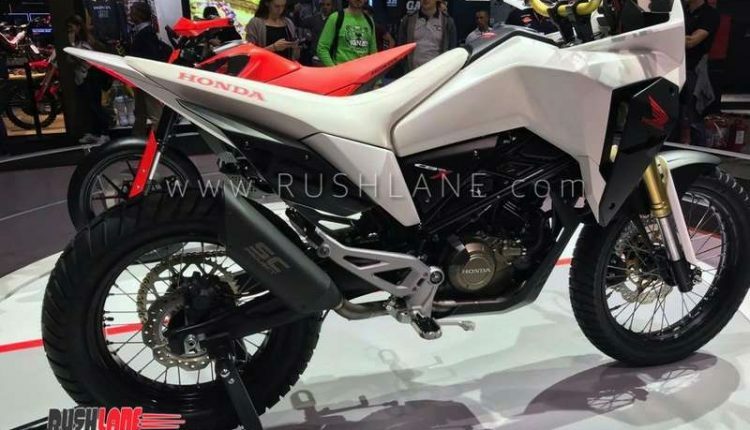 The Honda CB125M is a street fighter with a unique character. 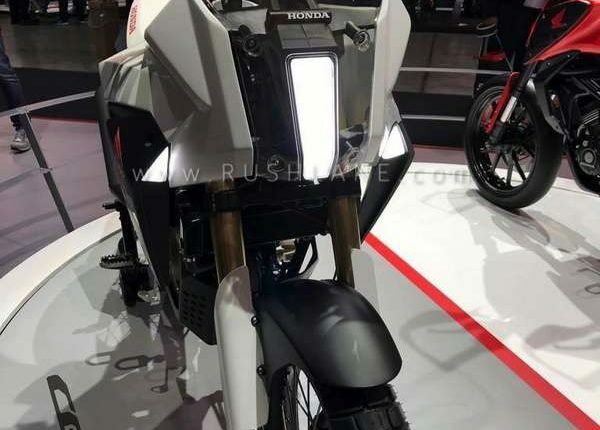 The motorcycle features a minuscule LED headlamp housed in a simple fairing. 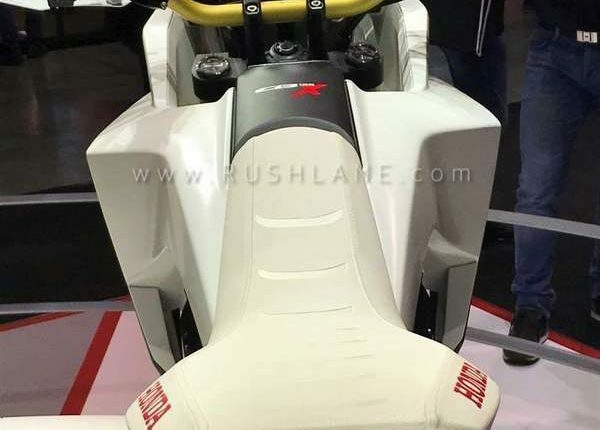 The bodywork is minimal (just the fuel tank, knuckle guards and fork protectors) and the seat culminates in a steeply raked tailpiece. 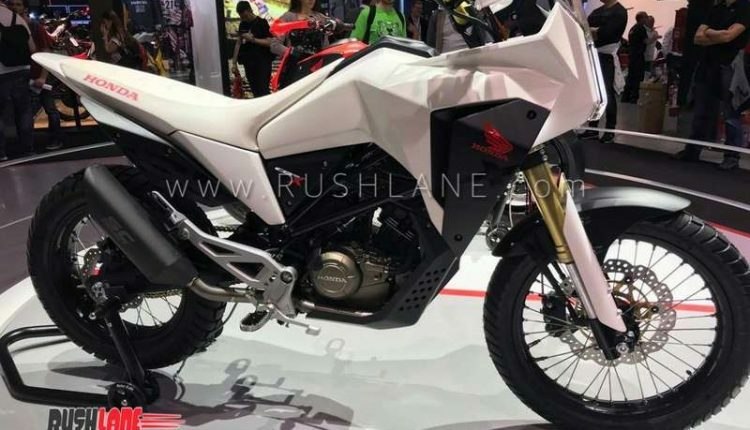 (White is CB125X, Red is CB125M). 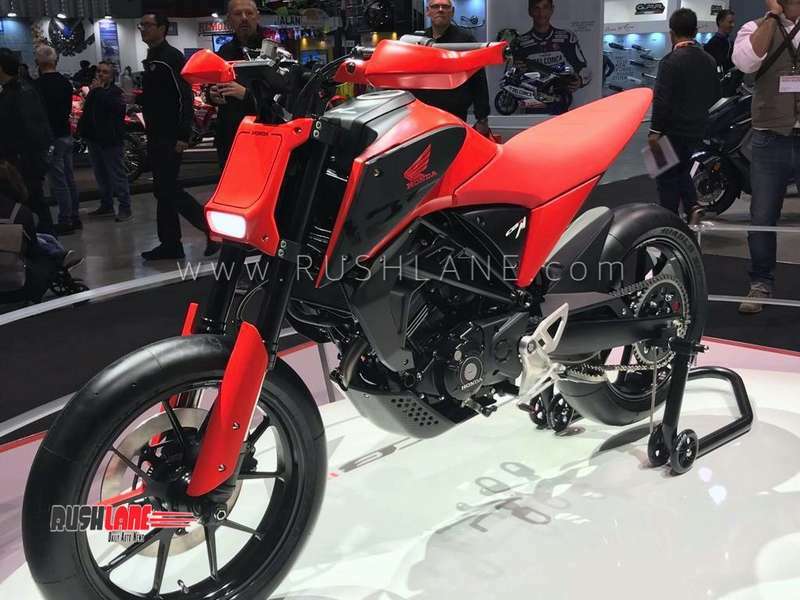 The brilliant red color scheme and thick slick tyres render a sporty character to this compact motorcycle. 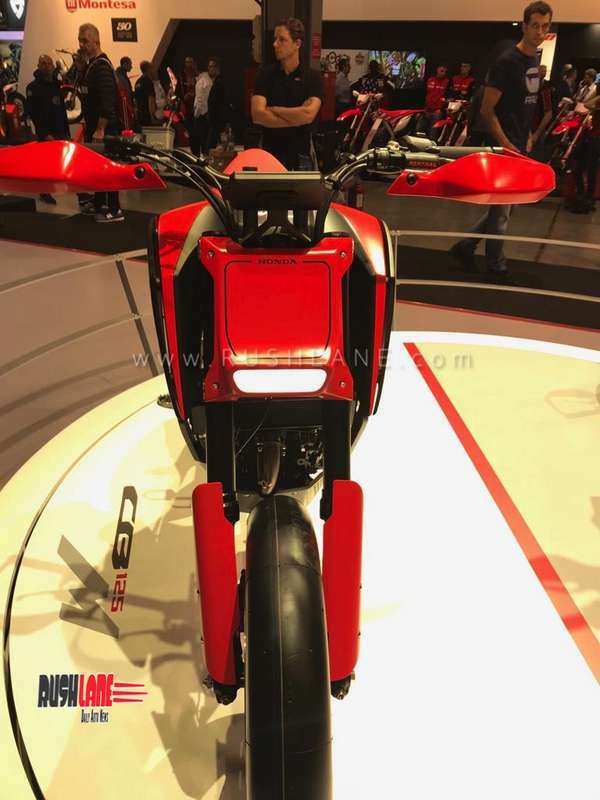 The CB125X, like its production ready sibling, is equipped with inverted front telescopic fork and rear monoshock. 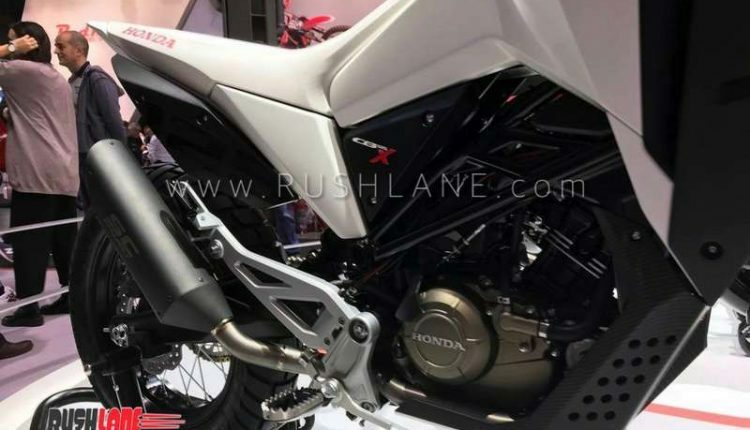 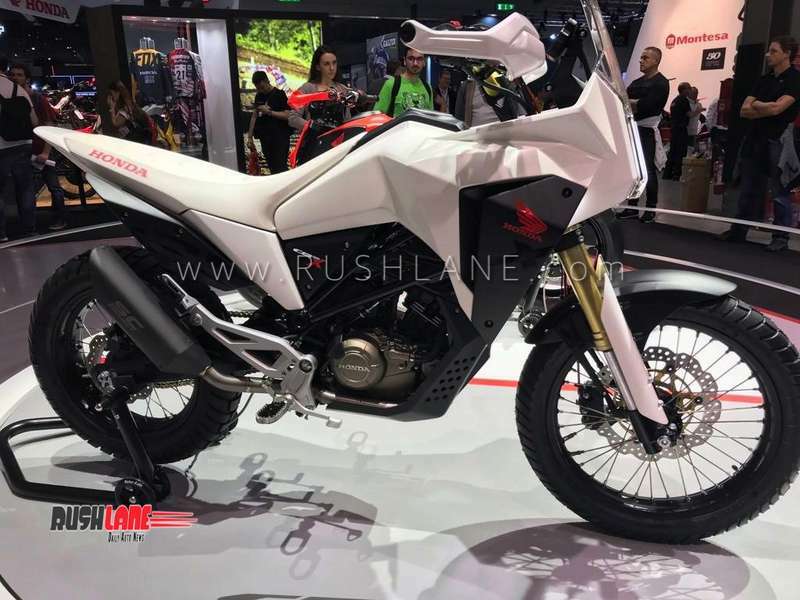 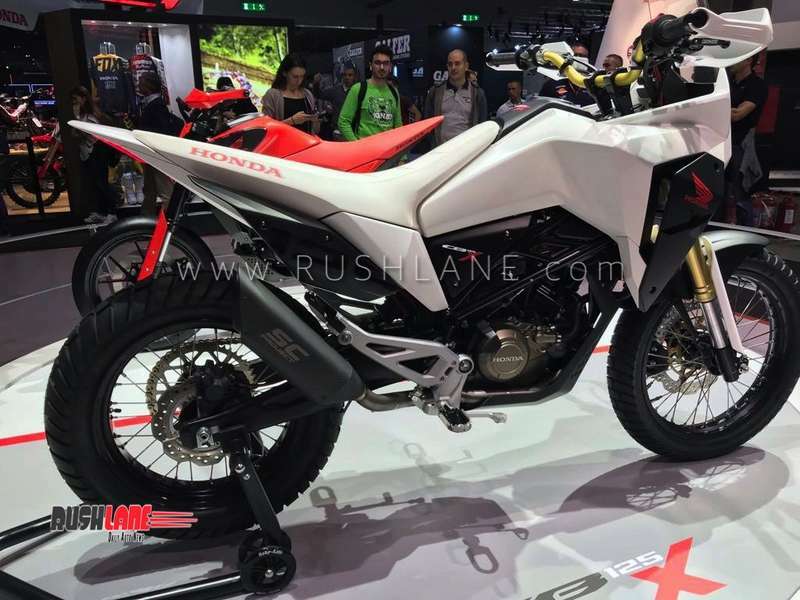 The Honda CB125X on the other hand adopts an adventure tourer body style and is swathed in white. 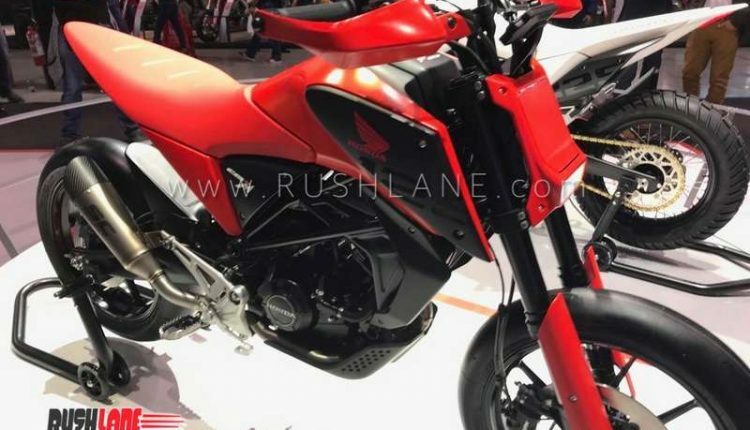 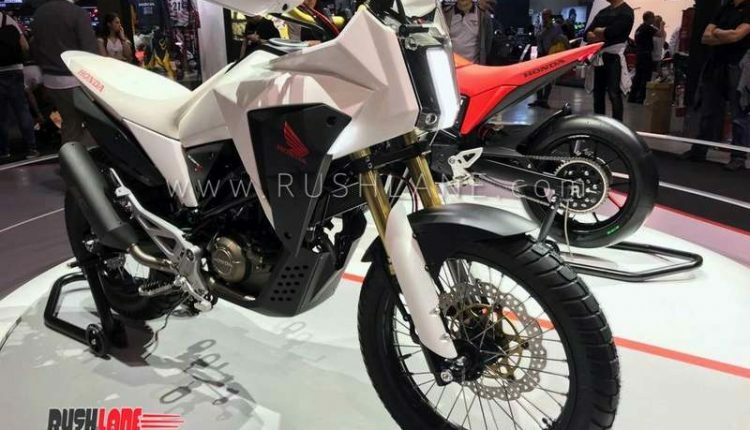 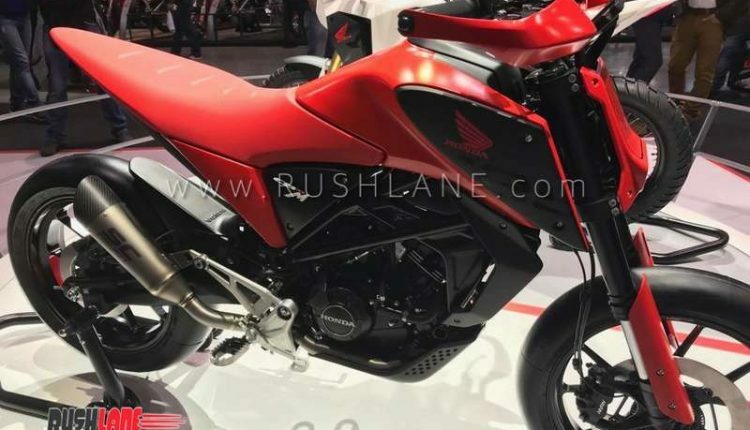 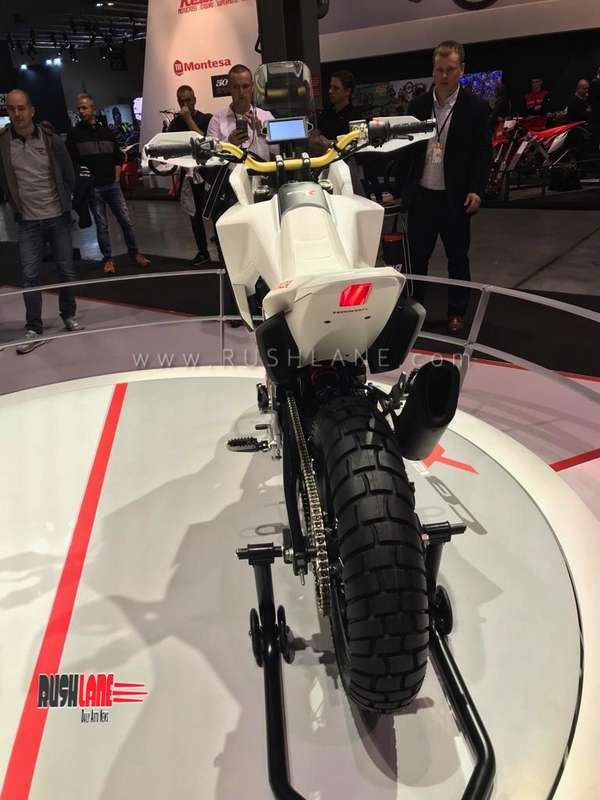 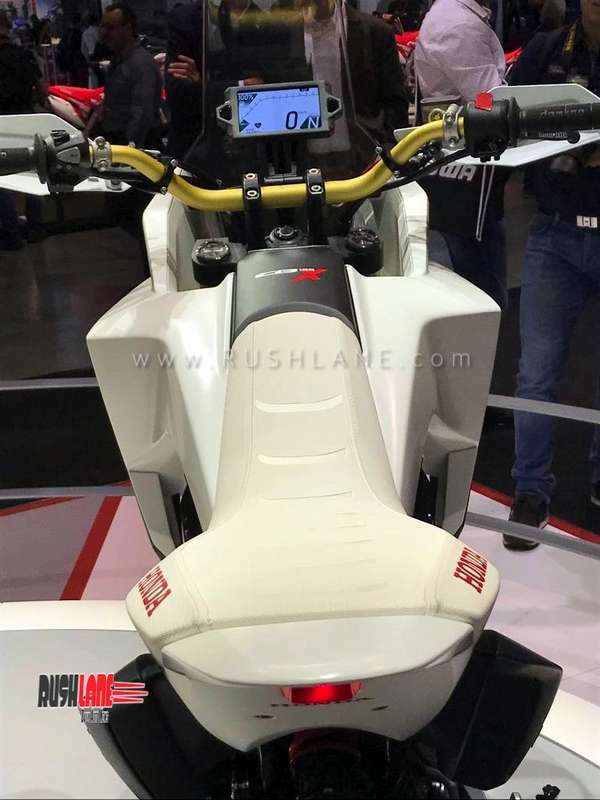 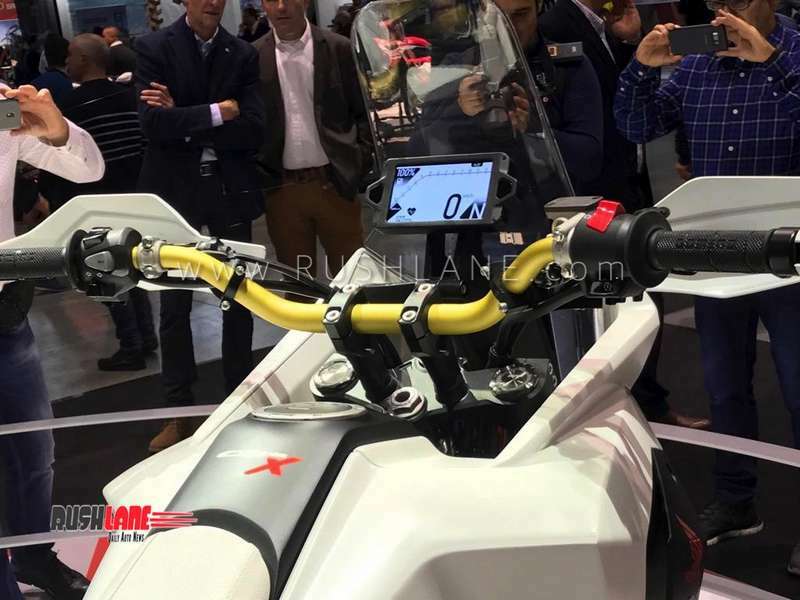 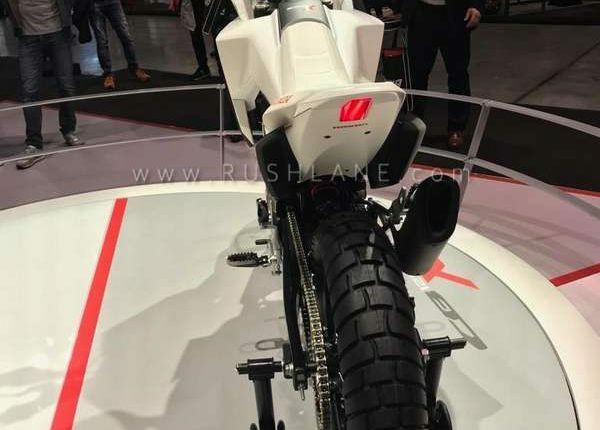 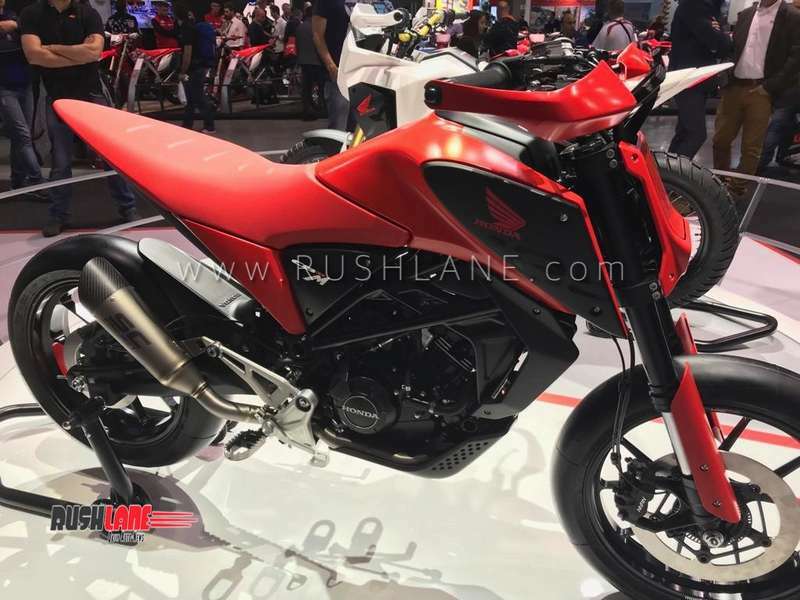 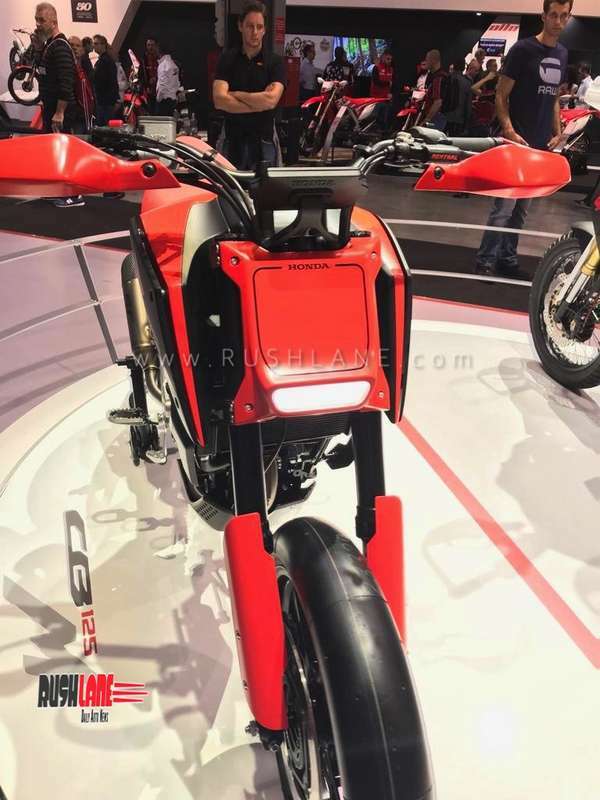 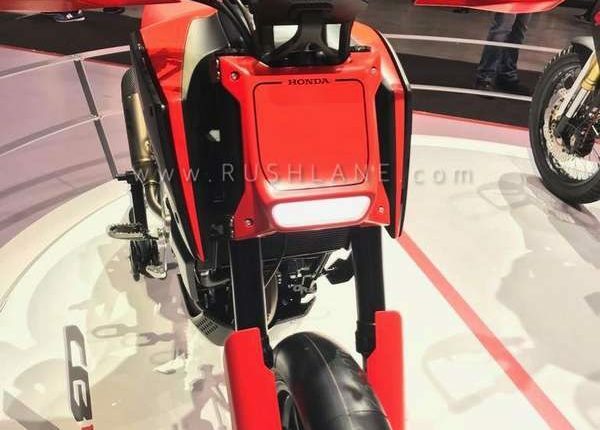 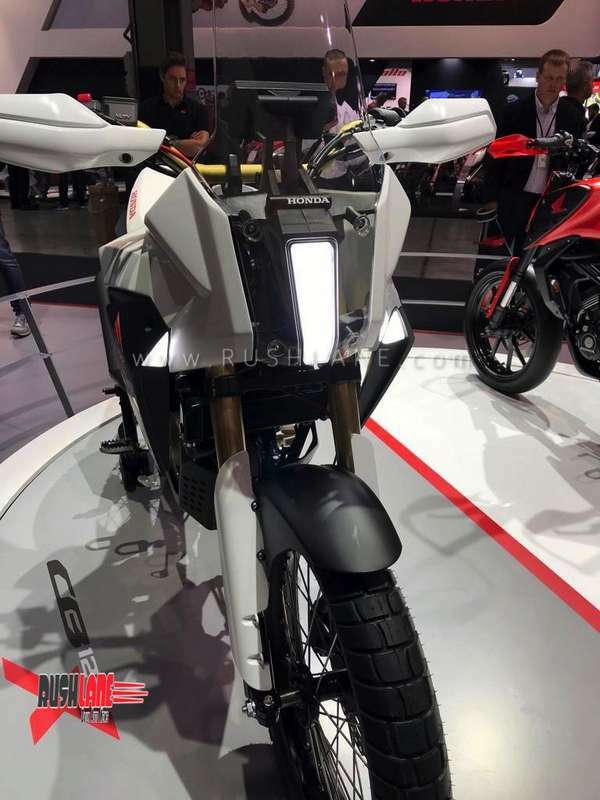 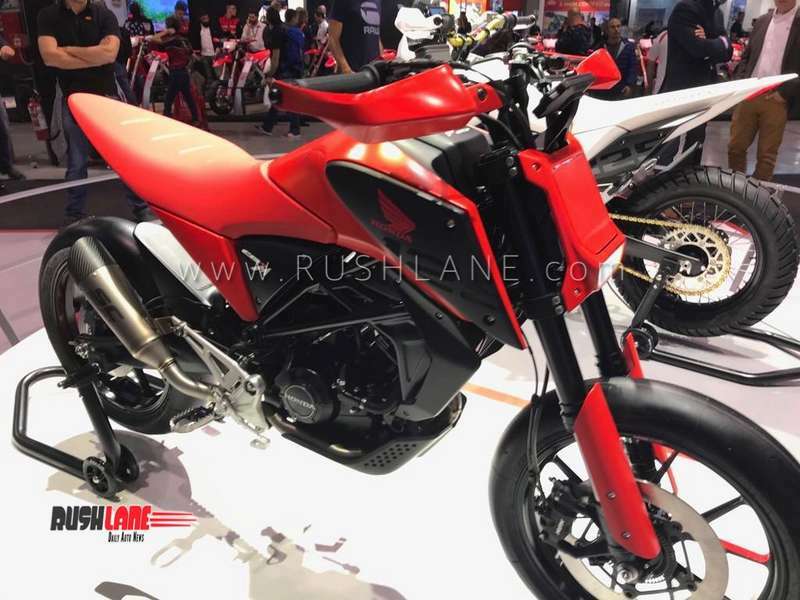 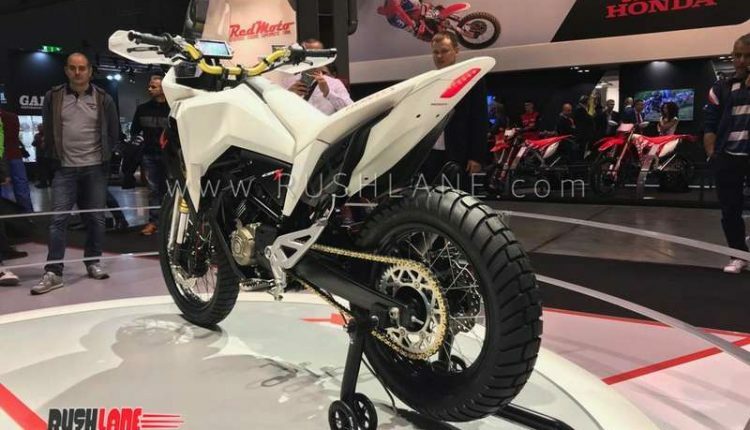 The fuel tank and tailpiece is shared with the CB125M but the X receives a narrow semi fairing that houses three LED lights (main headlamp and two units on either side of the fairing). 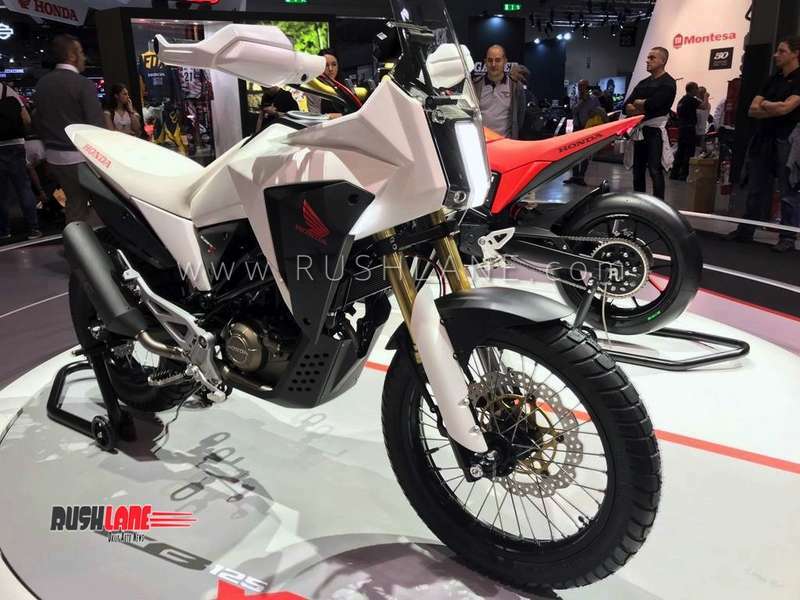 To go with the adventure tourer character, the CB125X sports spoke wheels wrapped with dual-purpose tyres, and an upwarding swooping silencer canister (to enable a decent water wading capability). 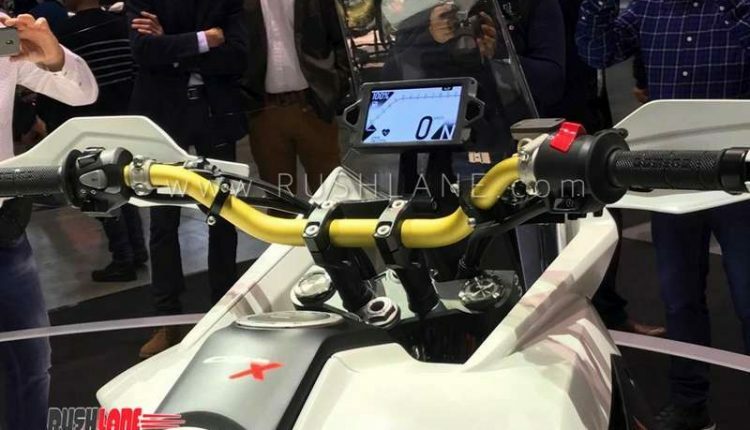 Both the motorcycles are designed by project leader Valerio Aiello and his team. 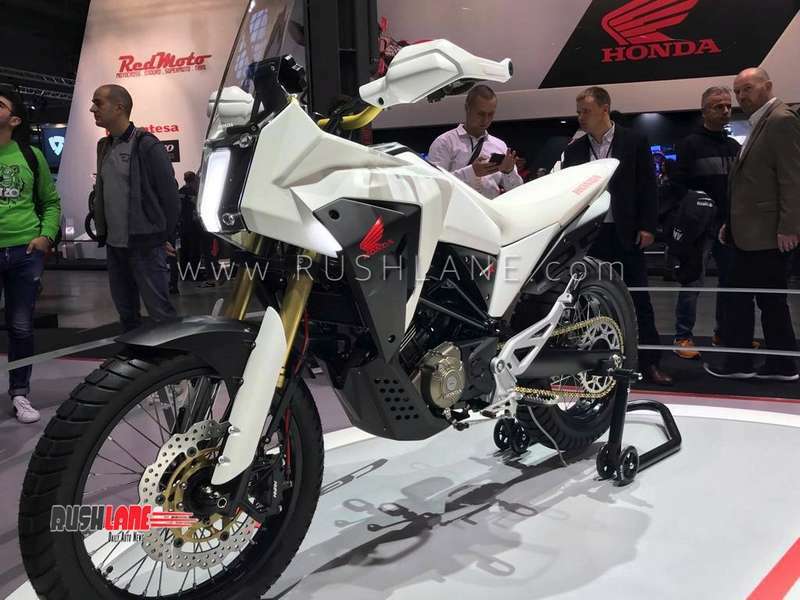 Honda has not confirmed any production plans but has acknowledged that the 125 cc segment is flourishing in the European market. 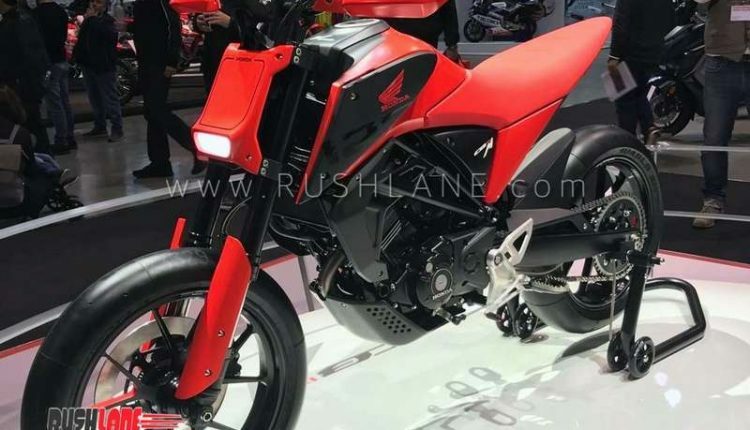 The segment witnessed an impressive growth of 25% in 2018. 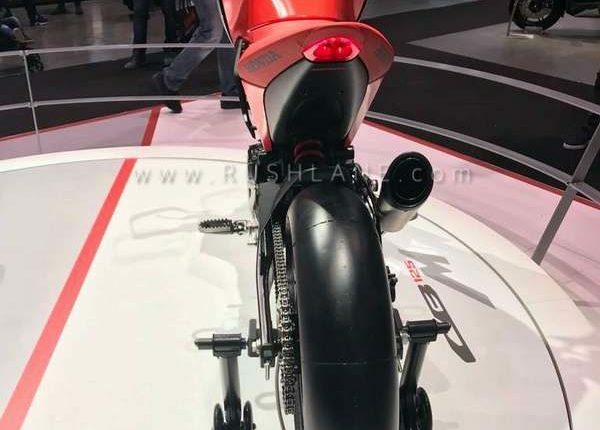 This is reason enough for any two wheeler maker to actively explore all possible flavors they can offer. 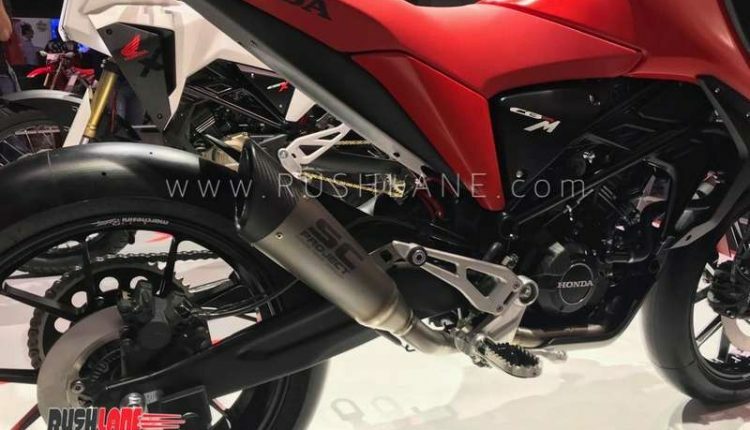 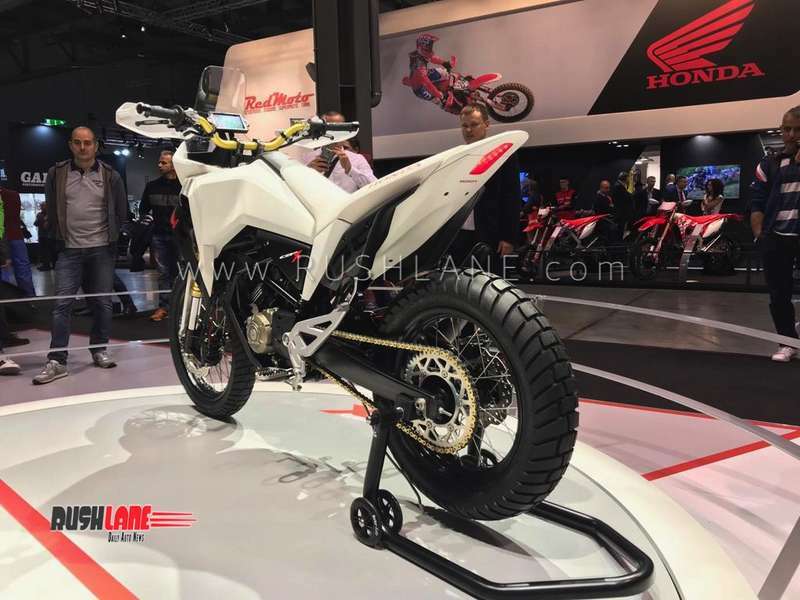 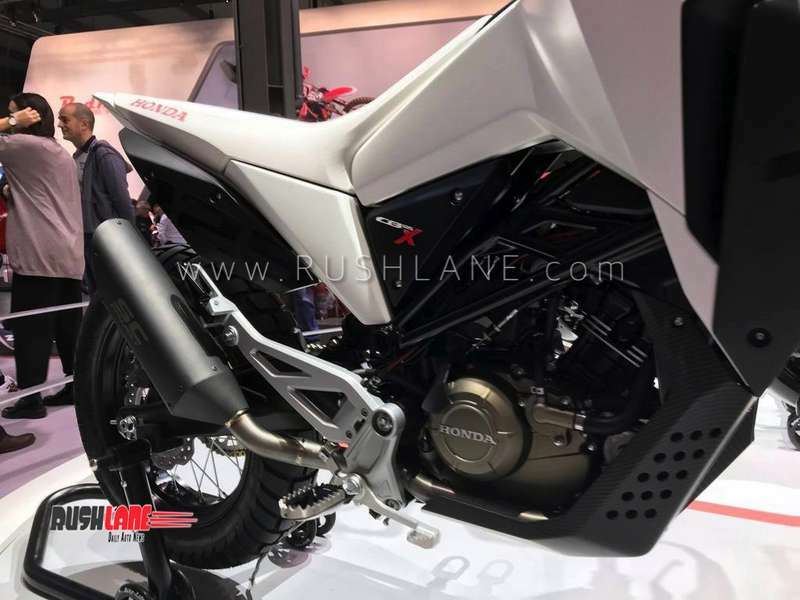 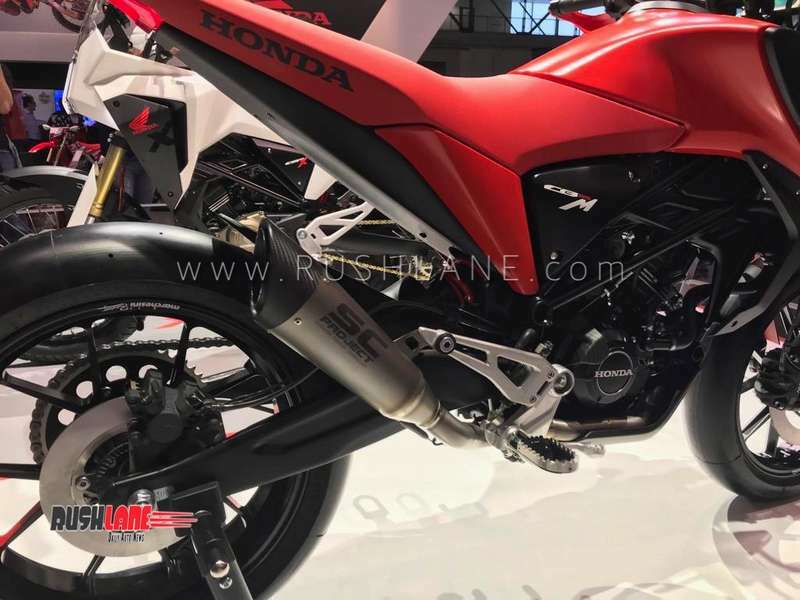 The production-spec Honda CB125R Neo Sports Cafe is powered by a 124.7 cc single-cylinder liquid-cooled engine which produces 13.3 PS and 10 Nm of torque. 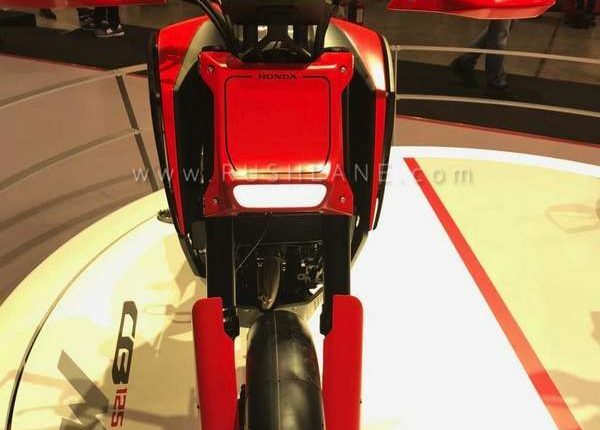 The motorcycle is priced at 4,490 euros in Italy.